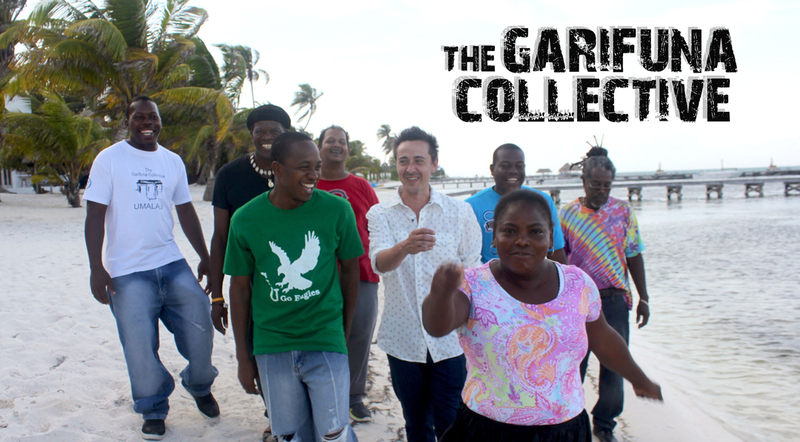 The band consists of the best musicians in the fertile Garifuna music scene. They bring together the deep cultural roots of Garifuna music, mixed with modern grooves, arrangements, and instruments. Unique hand drums, the “primera” and “segunda”, turtle shells and jawbones, guitars and bass. The musicians create a powerful energy on stage, building hypnotizing rhythms that form the backbone for the haunting melodies and powerful vocals that characterize the project. Biography sourced from official website (https://www.garifunacollective.com/).